Who is genealogy for? I’ve been going to genealogy conferences regularly since my thirties. I believe I’ve always been the youngest guy in the room who is not a vendor – consistently. Usually on Saturdays a few thirty-somethings will show up, and I am then set a little more at ease. Not that it’s ever bothered me, but sometimes I wonder if I’m able to keep up with all those who have been “doing it” for twenty-five years or more. So much experience. I’m not the only who has thought our niche industry is made up of folks who have finally gotten around to it in their retirement years or suddenly became interested when their grandchildren were born. 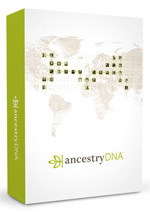 People ask me all the time if that is my target market after explaining my credentials as a professional genealogist. Well I’m here at the Podfest Multimedia Expo, a conference about podcasting and I am the only one promoting a show on family history. Finance, food, technology, and marketing are subjects well represented by extremealy intelligent entrepreneurs. All ages are equally present – millenials, gen Xers, baby boomers, you name it. And the thing is, no matter who I introduce myself to, everyone immediately breaks into a story about their own family tree. Yes… everyone. And we’re not talking twentieth century, either. Many, regardless of gender, age, or any other demographic, have been excited to share the results of many years of research whether they did it themselves, took a DNA test, or had it handed down from a relative. To me that is so incredible I can hardly contain myself. I am just jittery with excitement that outside of the typical genealogy conference, I see passion for what we do and the industry exploding with potential. Many of the young professionals I come in contact with lately are quite knowledgable about what is going on with our products and services. Many are users themselves, even if they don’t attend Rootstech. Or Jamboree. Or NGS. Or FGS, PMC, FGI, Grip, and the dozen other instututes and conferences aimed at die hard power users. Yes, us genealogy conference-goers are passionate about our research, but we are not the only ones. In the future I would like to tackle the exploration of reasons why the industry looks the way it does. Why aren’t these people coming to conferences? Is it taking time off work? Getting babysitters? Honestly I don’t think that’s it. Technology conferences such as the one I’m at are turning out huge numbers. And that doesn’t mean that everyone is paid by their employers to attend. There is something that keeps people coming back year after year to an event related to a subject they love. Even if it’s just to meet up with the friends they made at the last one. I once belonged to a ski club. The thing is about that club was that everyone was in their 70’s and 80’s and few of them actually skied anymore, but they had been together as a friendship organization for so long they wouldn’t give up coming to the meetings. I’ve been told by a business consultant not to worry about conferences going away. I was assured they will be be around for quite awhile. But I don’t think just being around is good enough. I want them to thrive. Please stay tuned as I continue this journey. I will be podcasting and blogging about various topics and I would like to share with you the following that are planned to appear soon.